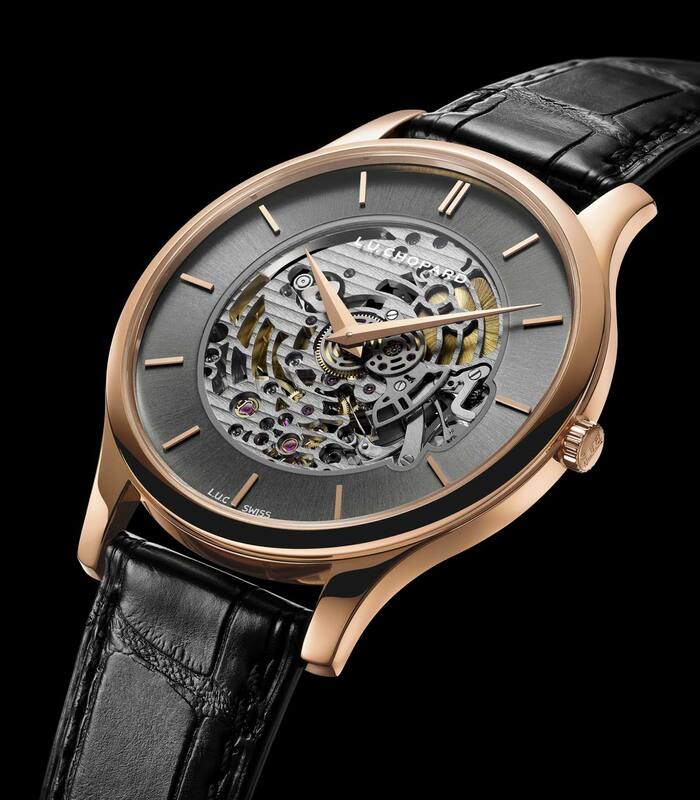 The latest addition from Chopard to the XP line is the L.U.C XP Skeletec, a watch where the Geneva-based manufacture applies the art of skeletonizing to an ultra thin movement. 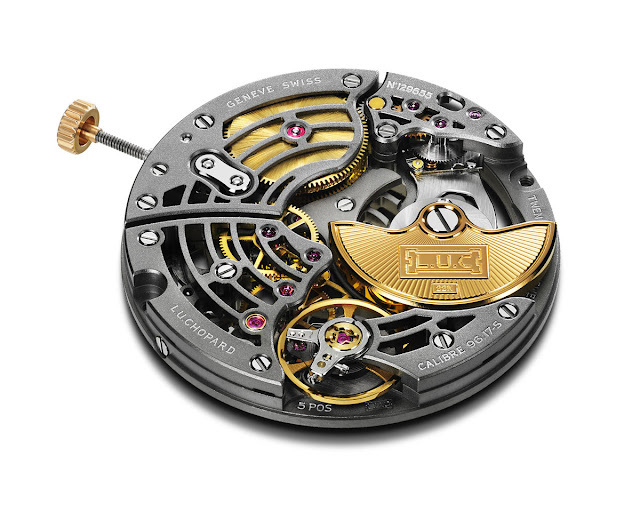 This ultra-thin movement beats at a frequency of 28,800 vibrations per hour (4Hz) and offers a remarkable 65-hour power reserve thanks to the Twin technology, a Chopard-patented system which combines two coaxial barrels, a technical feat if you consider that the movement is just 3.3 mm thick. 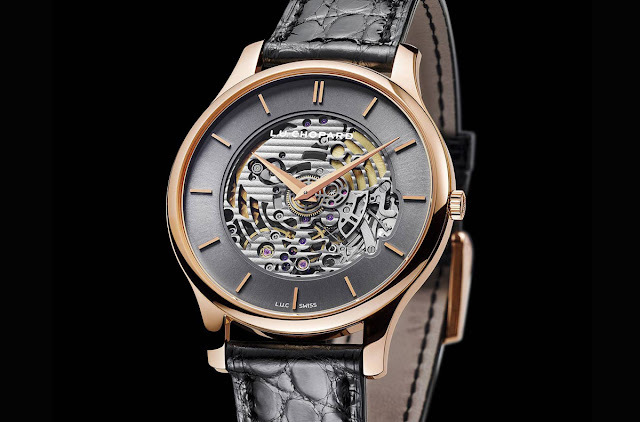 Chopard L.U.C XP Skeletec. The latest addition from Chopard to the XP line is the L.U.C XP Skeletec, a watch where the Geneva-based manufacture applies the art of skeletonizing to an ultra thin movement. 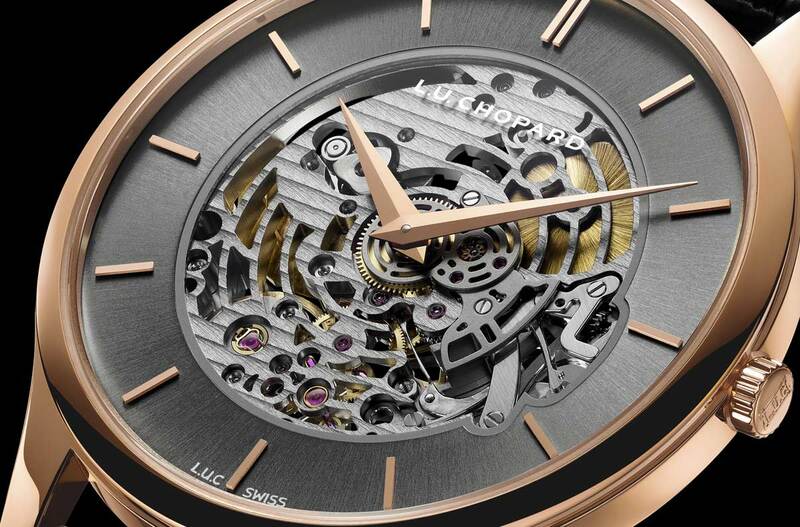 Skeletonised mechanical self-winding movement L.U.C Calibre 96.17-S, The Chopard L.U.C XP Skeletec (Ref. 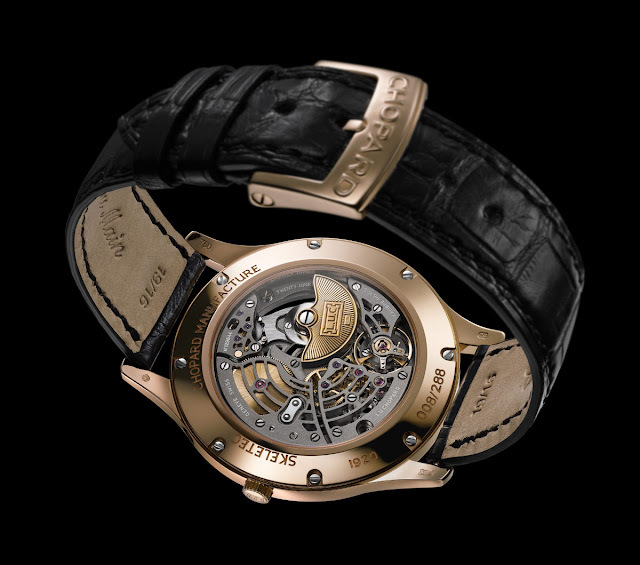 161936-5003) is a limited edition of 288 numbered pieces and has a price of Euro 19,320.